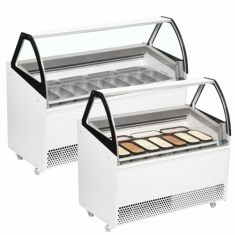 Ventilated ice cream scooping displays are fan assisted to ensure even cooling over the whole cabinet. 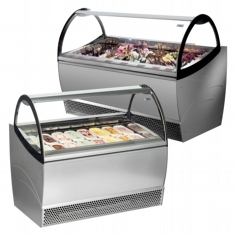 This helps to give a more consistent temperature for the ice cream or gelato. 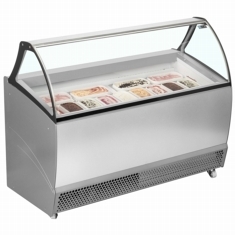 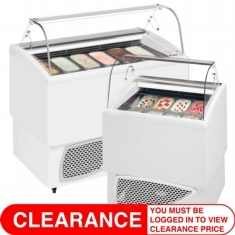 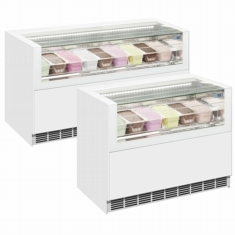 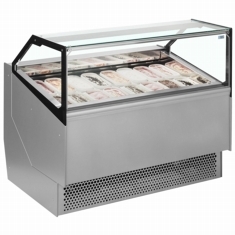 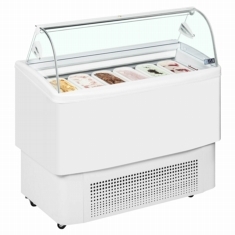 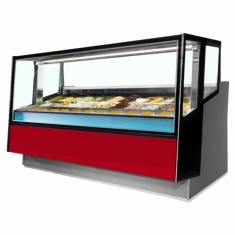 This type of cabinet is favoured when selling a higher quality ice cream or gelato where scooping temperature is critical. 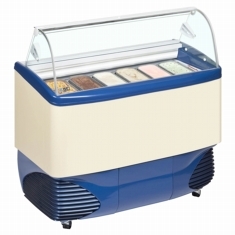 It also helps preserve the look of the ice cream and helps to reduce unsightly ice crystals forming on top of the ice cream.